Buying a cottage is often an emotional decision, not a practical one. Maybe it’s about childhood nostalgia. Or a romantic idea of escaping to the wild. Or making family memories. For pool buyers, the motivation is similarly emotional: pools are about family time and personal relaxation, with all the comforts of home and no commute. But let’s set emotion aside for a moment and talk simply about cost. If you want some hard numbers to fuel discussions with your honey about buying a pool versus buying a cottage, we’ve done the math for you. First, a note on pool and landscaping costs. You can get a high quality pool with basic landscaping for as little as $45,000. You’ll notice, however, that the number we use below is more than double that. We figure that someone who is contemplating a cottage will want all the bells and whistles in their backyard retreat. A $100,000 price tag is not the norm for our customers, and it’s not necessary to love the end result of a pool installation. But boy, does a $100,000 backyard look beautiful! So, back to the comparison. 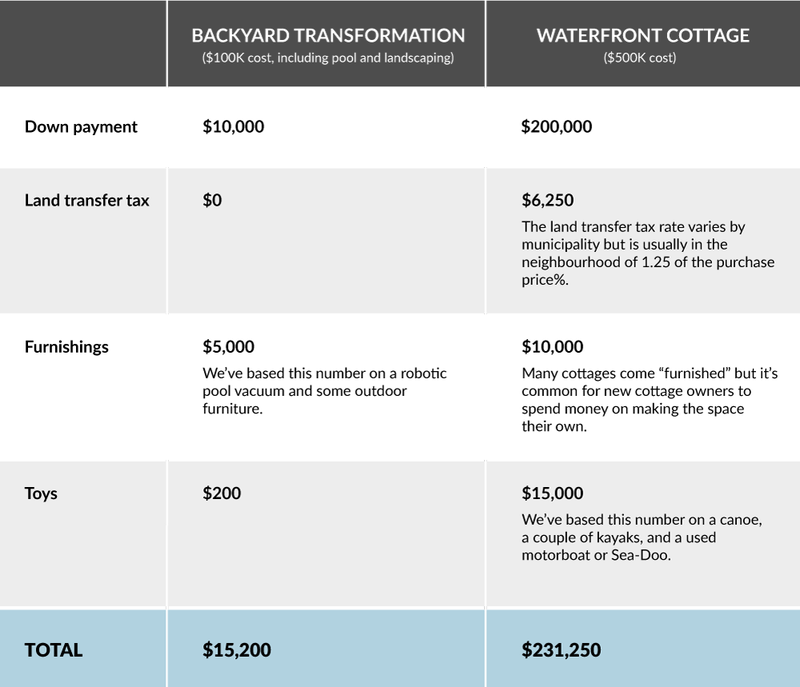 We’re sure you won’t be surprised to find out that it’s cheaper to build a backyard oasis than purchase a cottage, but you may be surprised how much cheaper. Let’s just say you could put the money you save each year towards renting an ultra-luxurious cottage for all of your friends and family for a couple of weeks every summer—and still have a stunning pool and beautifully landscaped backyard for your everyday vacay! 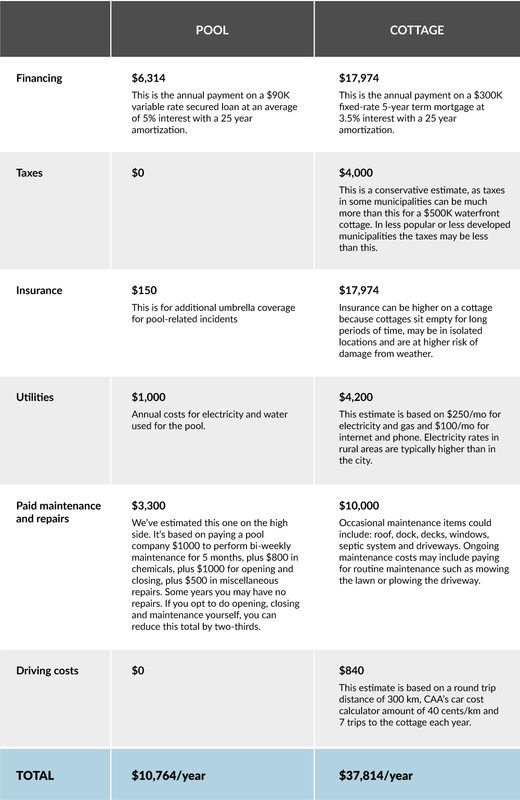 Wondering how you can reduce the costs of that pool even further? We’ve got an article on just that topic!